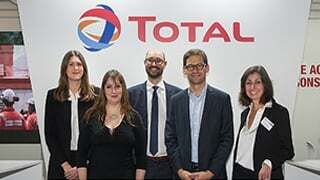 Saudi Arabia has been a close partner of Total for more than 40 years. Our operations in the country include one of the biggest refining and petrochemical facilities in the world, the SATORP complex in Jubail. In Saudi Arabia, we operate through a framework agreement on technical cooperation with the national oil and gas company, Saudi Aramco. 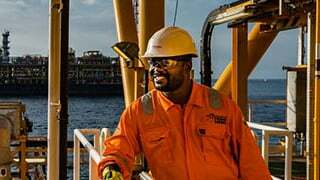 We also work alongside this partner in the Oil and Gas Climate Initiative (OGCI), a project promoting collaboration, the sharing of best practices and the oil industry’s commitment to tackle global warming. We are Saudi Aramco’s partner in the Saudi Aramco Total Refining and Petrochemical (SATORP) joint venture, in which we hold a 37.5% interest. SATORP has built one of the biggest refining and petrochemical complexes in the world in Jubail. It has a capacity of 440,000 barrels of oil per day. The refinery is integrated with petrochemical units, which produce paraxylene, propylene and benzene. We market petcoke, which is produced in the Jubail refinery, to customers in Asia. We market lubricants in the country that are produced by our 51%-owned Saudi Total Petroleum Products joint venture and our lubricant blending plant, both based in Jeddah. Through Saudi Total Petroleum Products, we also market additives and special fluids. Lastly, we market jet fuel in Saudi Arabia through our 25%-owned Petrostar Aviation Limited joint venture. In Saudi Arabia, we purchase crude oil for our refinery. We also purchase petroleum products in the country. A major complex producing high-quality transportation fuel and plastics.